The ‘YouthForLions’ as a movement found its feet shortly on the heels of the international award winning Blood Lions® feature film documentary in 2015. It is a youth-based campaign, focused on educating the youth about wildlife interactive activities and how these activities negatively impact the lives of the animals. 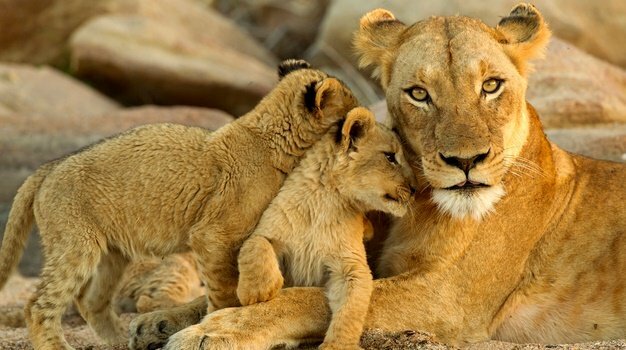 It aims to spread awareness across the globe about the captive lion breeding industry and the exploitative activities that go hand-in-hand with it, such as cub petting, lion walking, the lion bone trade and canned hunting. As a result, the campaign’s new release is a simplified and animated look at how lion cubs, born in captivity in South Africa, are often taken away from their mothers when they are younger than 10 days old.
" When travelling in South Africa, Think before you visit, cuddle, walk or volunteer with predators including lions, tigers, leopard and cheetah. Don't be part of the problem; help be part of the change." The removal of the cubs forces the mothers straight back into an intense breeding cycle. In captivity, lionesses often breed up to four or five times faster than they would in the wild. The tiny lion cubs are then hand raised, bottle fed and used for cub petting attractions where members of the public pay to pet and hold them. When they grow older, the sub-adult lions are trained to climb trees and pose on rocks for “selfies” during lion walking attractions. Once fully grown, the now tame lions are often sold to captive hunting establishments where they can be shot and killed in “canned” or captive lion hunts. This is just one of the ways in which hand reared and bottle fed lion cubs end up. Others are kept in small enclosures and killed for their bones to be exported to South East Asia to supplement the tiger bone trade. “If you knew the facts, would you still pet a cub or walk with a lion? We don't think so. The clip was created to have a simple message using video as a popular tool to spread awareness about the life cycle of a captive bred lion," says Tamryn Stephenson, YouthForLions Digital Marketing Manager. "Understanding the different stages of exploitation that these cubs go through, and the fact that they are merely money making machines for their owners is the key to putting an end to this practice."